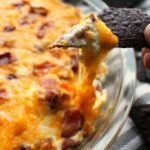 Hot Cheesy Sweet Pepper Dip with bacon and cream cheese is great dip for football gatherings or anytime! Easy to make and cooks in the oven. *This post contains affiliate links. If you click on the link and make a purchase, I will receive a small commission at no additional cost to you. Is it frigid where you are right now? Our high is only going to be -11 tomorrow. That’s right, -11. And that may be the norm for some of you Northern Folk, but for us Illinoisans, that is downright chilly. 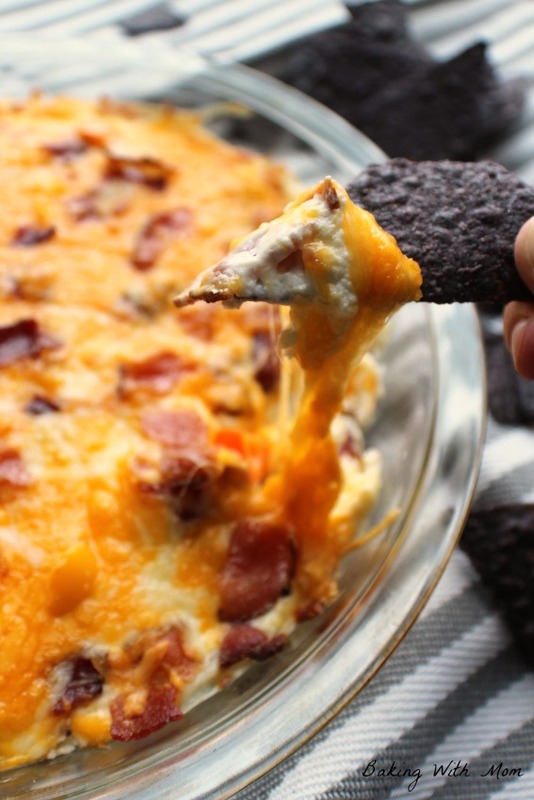 If you are facing cold weather like we are, I have a dip recipe to warm you up. 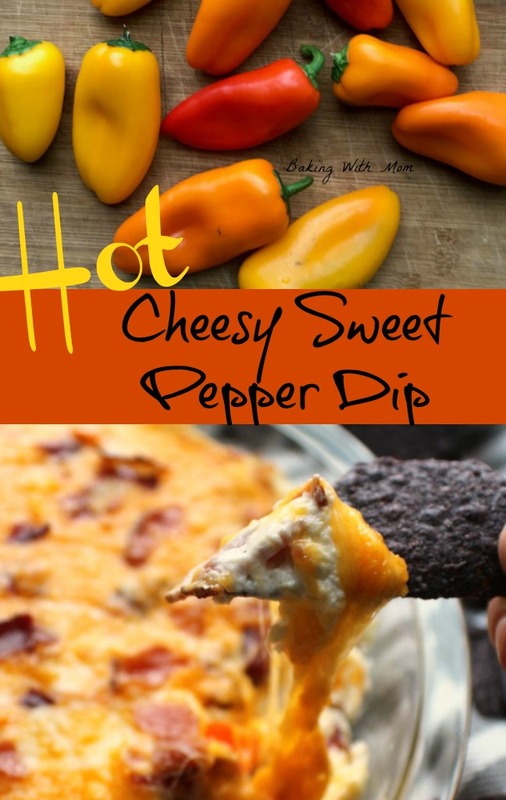 Hot Cheesy Sweet Pepper Dip will warm you heart and stomach. Plus it has bacon. I enjoy making dips. They are so fun. You can add almost any ingredient and change it up for your liking. There are sweet dips, crock pot dips and veggie dips. First of all, I chose to make this in the oven. It only takes 10 minutes to heat up in the oven and I didn’t need to take it anywhere. Can you make this in the crock pot? Yes you can, though it will take about 2 hours to completely melt together. 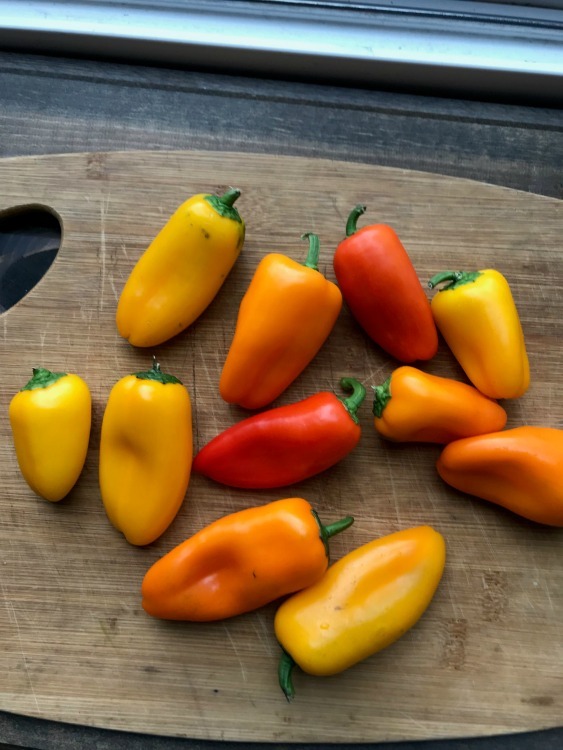 These small sweet peppers are perfect for this dip. You can certainly use the large peppers, but these were easy to chop and Ryan loves to eat them. He takes them in his lunch almost daily. After chopping up the peppers, mix up the cream cheese and sour cream. While you are chopping and mixing, the bacon can be cooking in the oven. My favorite cooking hack ever. You can read more about it here. After mixing the cream cheese, sour cream, peppers and bacon together, spread in a lightly greased pie pan. Sprinkle with cheddar cheese then put it in the oven. Bake and serve. I used blue tortilla chips with this hot dip. The sweet peppers of this dip mix well with the bacon and cheese. You will find it perfect for gatherings or a night in. 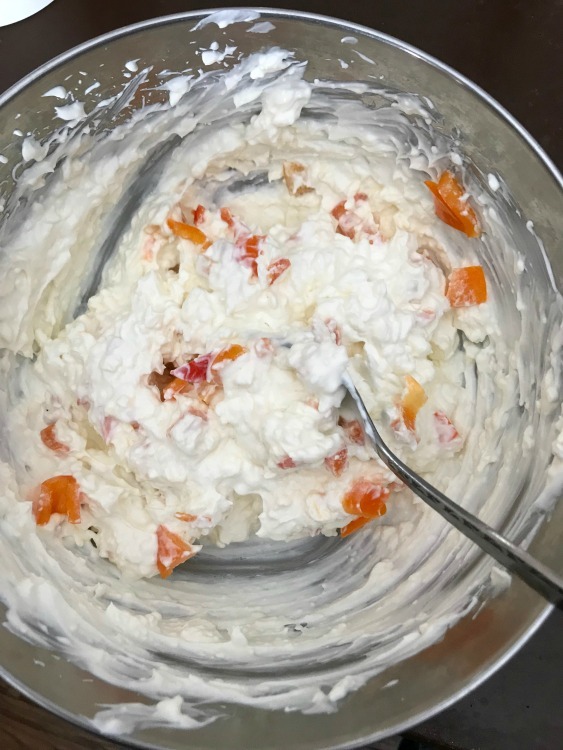 Hot Cheesy Sweet Pepper Dip with cream cheese and bacon is great with crackers or chips. Delicious and creamy with just enough spice.